Synopsis: In this stunning sequel to the highly acclaimed "Daughter of Smoke and Bone," Karou must come to terms with who and what she is, and how far she'll go to avenge her people. Filled with heartbreak and beauty, mysteries and secrets, new characters and old favorites, Days of Blood and Starlight brings the richness, color and intensity of the first book to a brand new canvas. Synopsis: Its name is spoken only in whispers, if the people of Alban dare to speak it at all: Shadowfell. The training ground for rebels seeking to free their land from the grip of the tyrannical king is so shrouded in mystery that most believe it to be a myth. 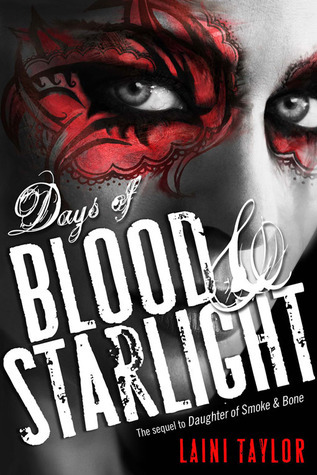 Days of Blood and Starlight - Firstly, I think this cover blows the first book's cover out of the water. The cover for his book is freaking stunning. I also, really loved the first book and I cannot wait to see where Karou will end up in this sequel. 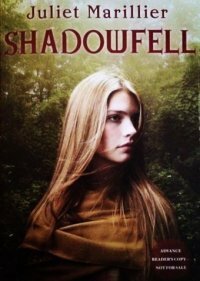 Shadowfell - This book sounds like a Maria V. Synder or Samantha Young book, and I absolutely adore adventures in magical worlds. I have a feeling I'll really enjoy Shadowfell and cannot wait to read it. The Torn Wing - I loved The Faerie Ring so much. I cannot wait to read more of Tiki's story. Plus, I need way more Rieker! I ADORE him. That cover on Daughter of Blood and Starlight is pretty awesome. I really need to start that series soon. Great picks. I still have to read The Daughter of Smoke and Bone. I will make time to read the book before the second book comes out. I'm excited to read The Torn Wing! 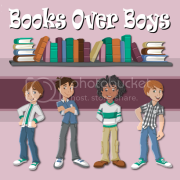 The first book was great!